Amy Milliron is an educator with a master’s degree in elementary education and curriculum and instruction who has combined her teaching experience and farming experience to create Hills of Milk and Honey—An Educational Farm. Children and adults who experience the farm participate in hands-on workshops, camps, and tours related to regenerative agriculture practices that focus on soil health and the growth of nutrient-dense food. Imagine a child as young as three experiencing life lessons about health and wellness, the life cycle, food systems, and how to interact with others as well as create self-care routines that will last a lifetime. Now picture this young child being offered a chance to participate in hands-on learning opportunities where getting dirty on a daily basis is considered a sign of a great day at play while learning along the way. Does the busyness of our daily lives get in the way of providing our children with enough of these opportunities? 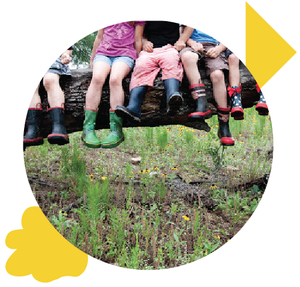 Would children benefit from a chance to truly connect with the earth and learn from the patterns and cycles of life even at a very young age? They sure would, and here’s why. Nature, if we pay very close attention, provides great examples of healthy rhythms and patterns to follow. The most noticeable example is seen in the passing of each season. On a farm, it is common for the majority of the prepping and sowing work to be done in the spring, the maintenance of the farm during the summer, and the harvest in the fall. Winter is typically a time for rest and preparation for the following growing season. There is ample time for hard work, as well as a dedicated time for rest within the year. If we choose to follow nature’s example, we can lead by example for our children. The pattern doesn’t need to mimic that of a farmer, but creating a pattern that sets the stage for hard work being a normal expectation in life, as well as taking time for rest, will benefit us all. When we seek out opportunities for our children of all ages to literally get their hands dirty and dig in the soil, hunt for worms, plant a garden, or care for an animal, we are providing another layer of opportunity for our children to feel grounded and connected with the earth. There is the added benefit that activities like these get us all outside, together, breathing in fresh air, noticing butterflies, bees, and other pollinators around us going about their cycles of work and rest. It may prompt us to journal our reflections as we make notice of what is happening all around us. With our world being inundated with screens of all kinds, there is the potential to get out of the practice of awareness of our surroundings. Noticing a mama bird taking a worm back to a nest may prompt a child to recognize and be grateful for all the people who care for him in his own life. It may further inspire ideas of sharing that appreciation through a phone call, a card, or a gift. And, it all starts with getting outside and digging in the dirt. There is an even deeper level of connection available to children when they are given the chance to learn the importance of what is actually happening under their feet. The soil-food web is responsible for everything that grows above the ground. And, when humans properly manage their land to care for the soil-food web, carbon is captured and utilized in a way that benefits all living things, and the microbes under our feet can be left undisturbed so they can share valuable nutrients with other living things underground. This is a concept that even young children can grasp when given the opportunity to see first-hand what the difference is between healthy soil and non-healthy soil. Can you imagine a child growing up with knowledge about soil health? This changes everything. These children will grow up seeking out farmers who practice regenerative agriculture and support them with their business. They will maybe even grow some or all of their own food. These children will be able to vote with their dollars by visiting farms, farmer’s markets, and companies that support locally grown, sustainable food. Best of all, their knowledge will be able to expand, and they may seek jobs and college degrees in areas that support a sustainable food system in the future. Then, the cycle can continue by these children growing up and raising children that know regenerative agriculture as a way of life. Parents have many choices nowadays when it comes to extra-curricular activities, camps, and ways for children to spend their free time. Building in dedicated time to connect with the living world will benefit the entire family, create opportunities to bond while learning something new, and perhaps allow for a newfound appreciation for the nature. 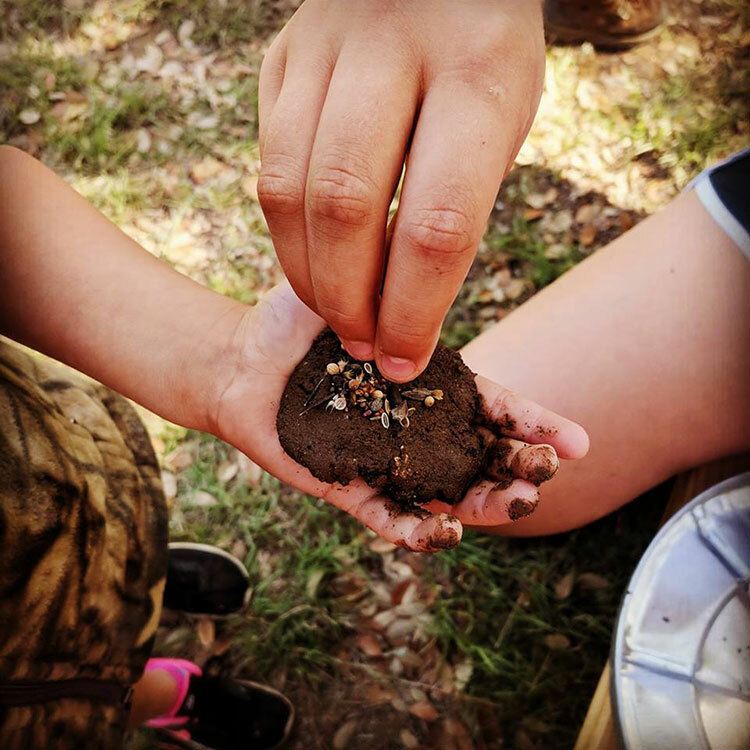 Seeking opportunities for children to learn about life cycles, the food system, and how everything in our natural world works together is as simple as digging in the dirt. Hills of Milk and Honey is an educational farm located in Dripping Springs, Texas, that offers camps, classes, and tours to connect children and adults with the earth and learn from the cycles that nature teaches us daily, if we dedicate some time to truly be aware of our surroundings and learn. Right now, Hills of Milk and Honey is in great need of an air-conditioned classroom to allow summer campers and visitors a place to cool off and take part in lessons indoors for periods of time when it’s most hot outside. There is a Kickstarter Campaign running through May 15, 2018, seeking funding support to put this classroom in place right away. Our campers this summer, including those participating in our camp week dedicated to children with Autism Spectrum Disorder, will be incredibly grateful for your financial support. And to register your children for summer camp, please visit https://www.hillsofmilkandhoney.com/camps.